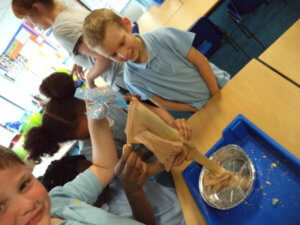 In Year 4 we have been studying the human digestive system. 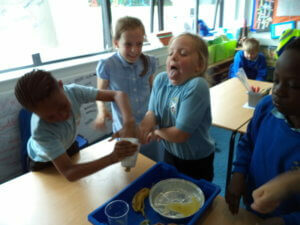 Mrs Connors and Miss Sheikh thought it would be a good idea for us to make the digestive system out of food bags, tights, foil trays, bananas, crackers, orange juice and water! 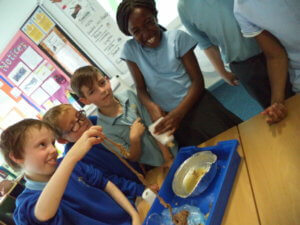 It was a very messy afternoon, but we all loved it and we learned a lot. 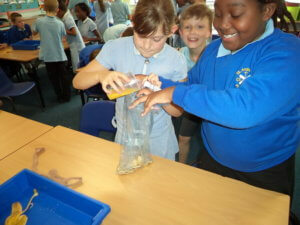 Some of us had to leave the room as it got a bit gruesome when the ‘waste’ had to leave the body! !